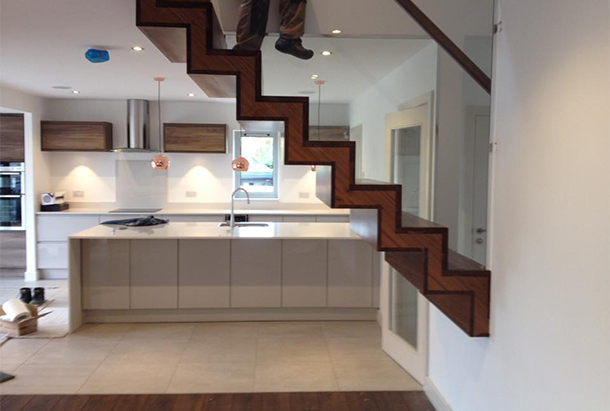 the home of bespoke joinery services, and a team with the ability to enhance your home or business property through the creation of beautiful furniture, staircases, doors & windows, and timber mouldings. We can also offer repair services, working to restore and rejuvenate the joinery that you already have in your property. We can provide our excellent services locally in the dewsbury area, as well as nationally including London. That there are a lot of different needs that may drive you towards a joinery service, so we ensure that every client receives an individual and unique service. You may be looking for aesthetic improvements to your home, a practical product that helps you to solve a problem that you’re having, or a way to update the look of your commercial property. All of these projects – and many more – can be handled by the Wood & Laycock team: a group of experienced professionals with an excellent local reputation that we’ve worked hard to gain by providing a top-quality service at a very competitive price. Wood & Laycock are a family run joiners with a small, knowledgeable team – and this allows us to give a great deal of care and attention to each and every client. So, if you would like some handcrafted furniture, a stunning new door for your office, a staircase for your home… or just about any other joinery service that you can think of. Please get in touch with us on 01924 461559, or drop an email to woodandlaycock@ntlbusiness.com; we’d love to know how we can help you out. You can get a taste for the type of work that we have completed in the past by taking a scroll through our gallery of images; see for yourself the amount of detail and craftsmanship that goes into each joinery project that we work on.